Stable CCTV Security - Is your livery protected? Stable CCTV Security is essential to keeping your premises safe. The Equestrian industry is a lucrative business! Protecting your stable and tack room with Stable CCTV Security could be the best decision you make to not only protect your beloved horse or pony but also the expensive kit that you use to look after them. 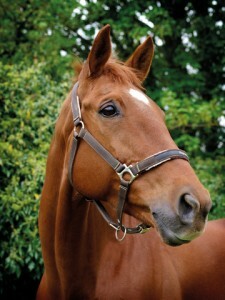 Tack equipment, horse boxes and even feed do not come cheap. Unfortunately items can be resold easily through the internet and even more worryingly horses can be sold at markets without a trace at worse even re-sold for their meat. With this in mind it is imperative that owners look at ways in which to protect their property and their animal live stock. Stables & farms can commonly seem open and easily accessible for this type of criminal activity to occur with intruders often gaining access without anyone knowing. Stable CCTV Security, what can you do to protect your property & livery? If you are a farm owner who is looking to upgrade your security then you may like to consider our Stable CCTV security package in order to protect your livestock and equipment. Please contact our Stable CCTV Security team for more information and sign up for a FREE review of your farm premises.